Ultrasurf is a lightweight, free proxy-based internet privacy and security tool for Windows, developed by Ultrareach Internet Corporation. It's designed to allow safe access to blocked sites and encrypt your browsing data. UltraSurf automatically finds proxy servers from a range of servers globally and builds a connection through an encrypted tunnel. It allows to circumvent firewalls using proxies and employs encryption protocols for privacy. Originally created to help internet users in China find security and freedom online, Ultrasurf has now become one of the world's most popular anti-censorship, pro-privacy software, with millions of people using it to bypass internet censorship and protect their online privacy. 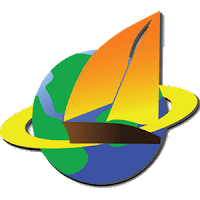 Disclaimer: Direct downloads for the lastest version of UltraSurf 16.03 are provided by the official software's author, we can't guarantee safety, availability or download speed. Moreover, we don't and we won't provide any pirated/illegal versions or tools. We recommend you to avoid it as these methods can harm your device. If you like the software, buy it to support the developers. (We provide software discounts for many worldwide brands).